Imbibe hosts its second night of beer tastings with a special keg from Green Flash Brewing, Imperial IPA. The Imperial IPA has only been available in bottles here, so this will be the first keg released in Albuquerque. The super hoppy Imperial IPA keg will be tapped at 5 pm. Samples will be available, but just go ahead and buy a pint. It's Friday, after all. 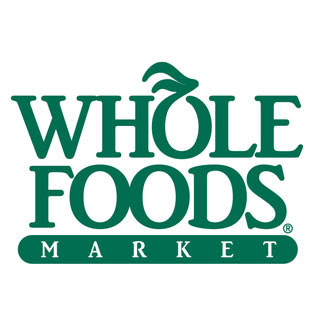 The Whole Foods on Carlisle will be serving up a variety of cheeses (for free!) alongside select Sierra Nevada offerings from 5:30 to 7:30 pm. No need to go to Costco when you have these kinds of samples available. You don't even need to feel guilty about going back for seconds. 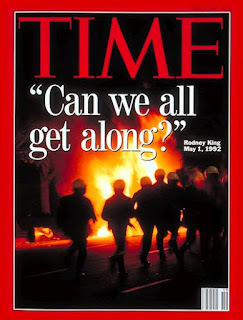 Rodney King may not have been the inspiration for this beer, but the idea of everyone just getting along is always a good thing. It certainly worked for five Albuquerque breweries, who collaborated to create 505 Five an 8% ABV Imperial Red Rye Ale for your drinking pleasure. The breweries each brought ingredients and input (always plenty of input) to Marble Brewery, where the beer was made. 505 Five will be released at all the participating breweries: Nexus, Marble, La Cumbre, Chama River, and Il Vicino starting at 4 pm. Pick the brewery closest to you and drink up the creation that these local breweries deemed good enough for Beer Week. First of all shame on me b/c i didn't check your site everyday. You've translated the vague mish-mash from the ABQ beer week website clearly. thank you. Day 1 was a wash for me. Yes i drank good beer but that was at Zerbe's Tap Room- a Monks Cafe Flemish Sour Ale which was okay and ending at home with a Firestone Walker Double Jack- thx Maj. But the big decision was Chocolate Bock from Sam or DIFF from Ska. So we go to Imbibe for DIFF and they don't have it! but they have an orange Creamcicle Stout from SKA- basically a stout with orange peel- 5.5%. Totally lame and disgraceful. So I am angry and feel disrespected. Who to blame? I don't know but I do know redemption is just a day away. dang michael, i was a bit disappointed DIFF wasn't there too but I didn't walk away thinking 'totally lame and disgraceful.' i felt Skawork Orange was good, another winner from Ska. the only 'lame and disgraceful' thing was the $10 12 oz. pour they were offering (to try and make the keg stretch) which I respectfully declined. so i went to Billy's and was not only surprised to find Deviant Dale's on tap (woo hoo! ), but was pleased by the effort by Sammy. Maybe it was the orange to chocolate order, but I did enjoy the bock. another comment on imbibe, the help was under the impression that the tasting Friday is West Coast, and they had a flyer/copy sheet that showed West Coast but they already have that on tap so maybe they were misinformed. If you are going to imbibe on Friday just be prepared for West Coast not Imperial.